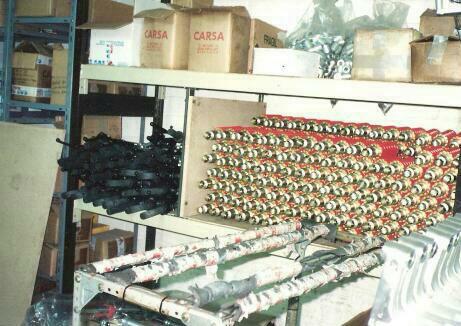 In 2012 retrotrials revisited the Merlin and GasGas Fornells de la Selva factory and were kindly shown around. 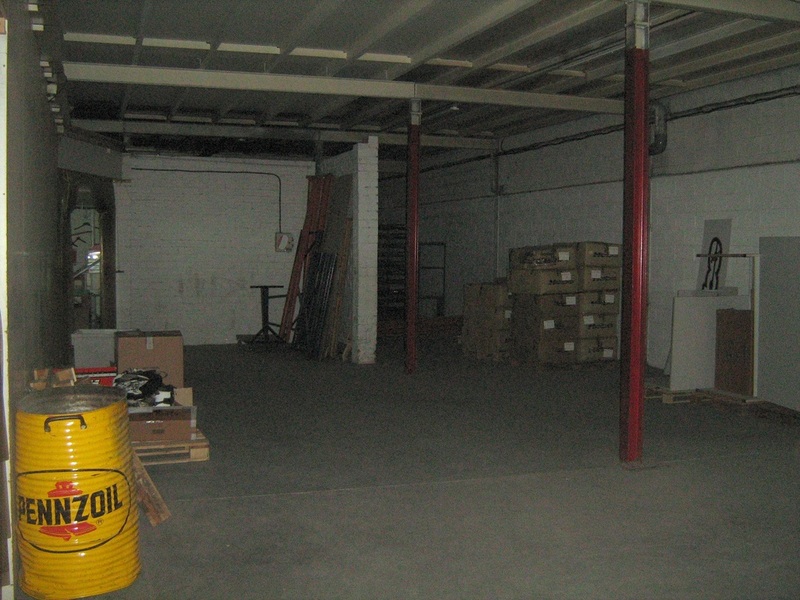 We found that the factory had not changed much at all. You could see that everything was original. GasGas stickers and posters lined some areas of the walls. A huge Paul Edmondson poster leant up against the wall in the pitch black upstairs room. 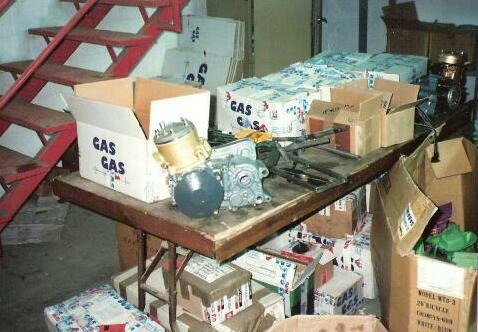 This GasGas factory in my opinion operated during the companies glory days. I am sure in 20 years time many will say the same about the new Unicef factory in Salt, but right now that's how I feel. 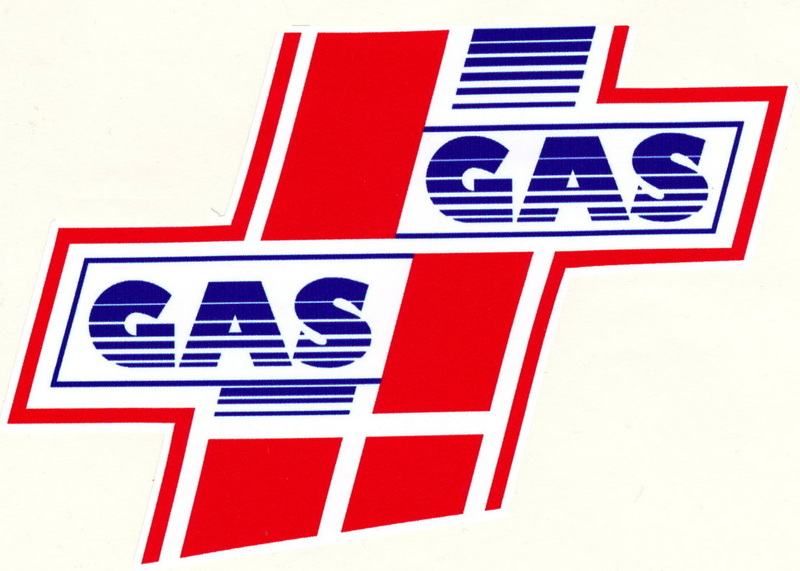 GasGas have always made excellent bikes, but at this time in particular their bikes were outstanding, class leading and affordable. They had the most prominent Spanish riders as well, but we'll get to that. 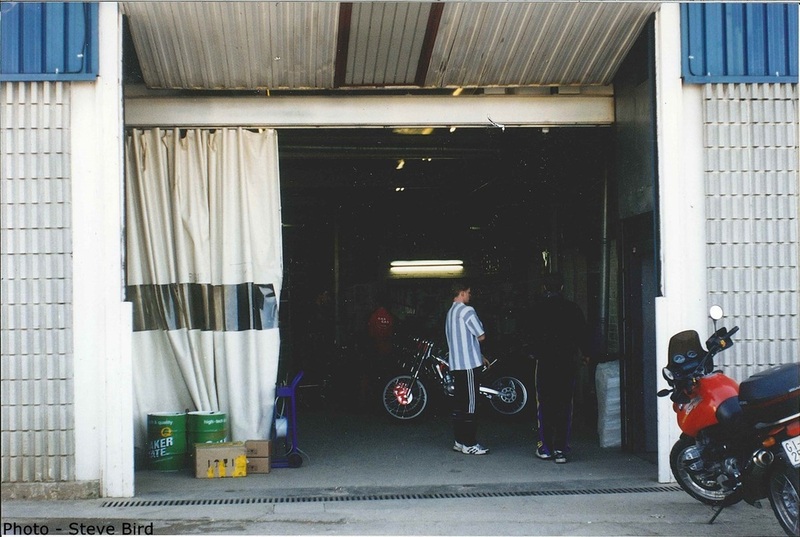 The is the main / only door into the GasGas factory. Behind it to the right is the lift to the storage area you have seen already. 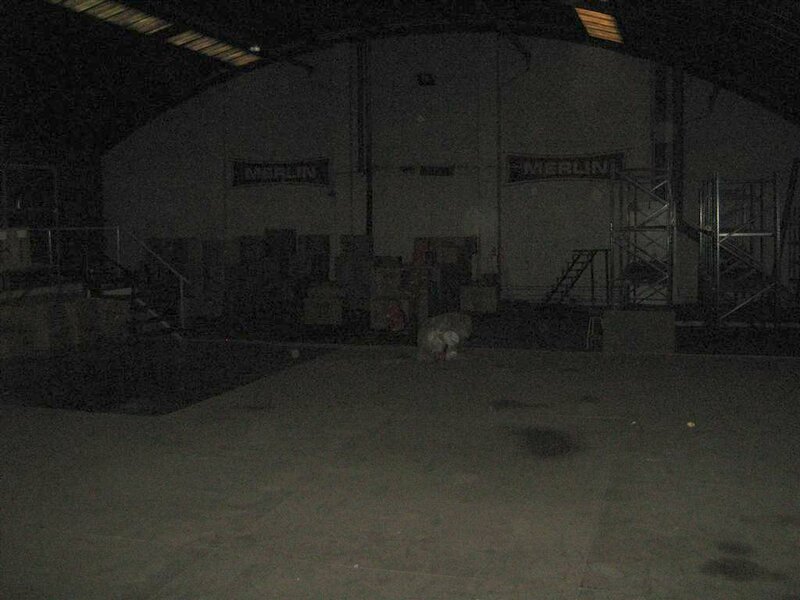 If you look at the door you can see the outline of the Merlin badge that used to be there. 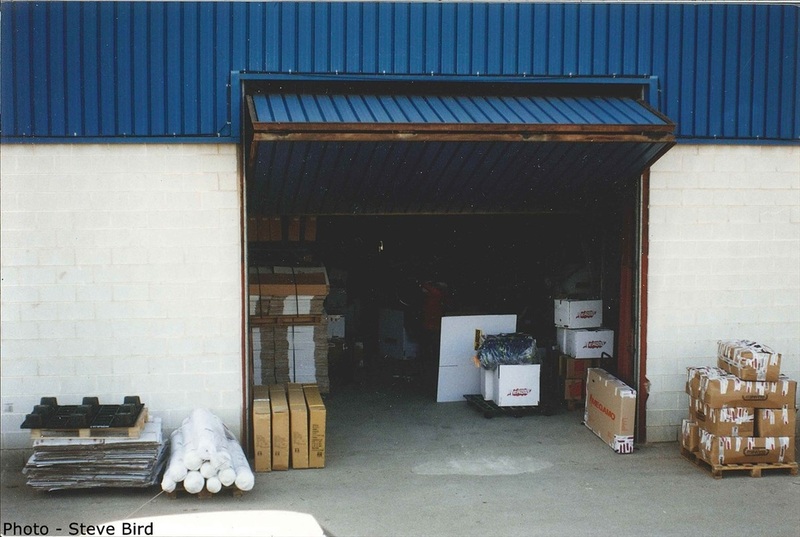 And behind this door - Photo taken by Steve Bird when he visited the factory in the 90's. 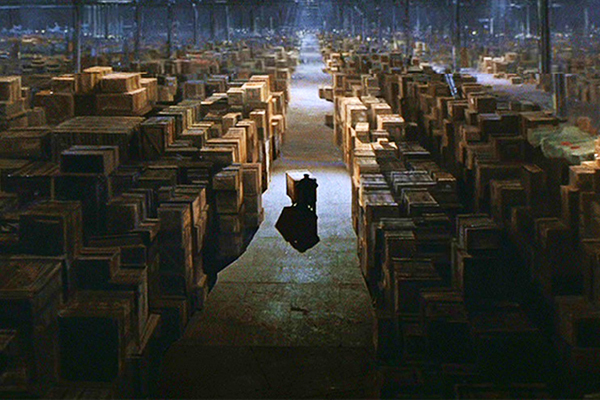 Do you remember the room where they stored the ark at the end of Indiana Jones and the Temple of Doom. As soon as Indiana's ankle has mended I'm sure he'll be swinging on a rope around Hebo :). Il'l show you this photo. 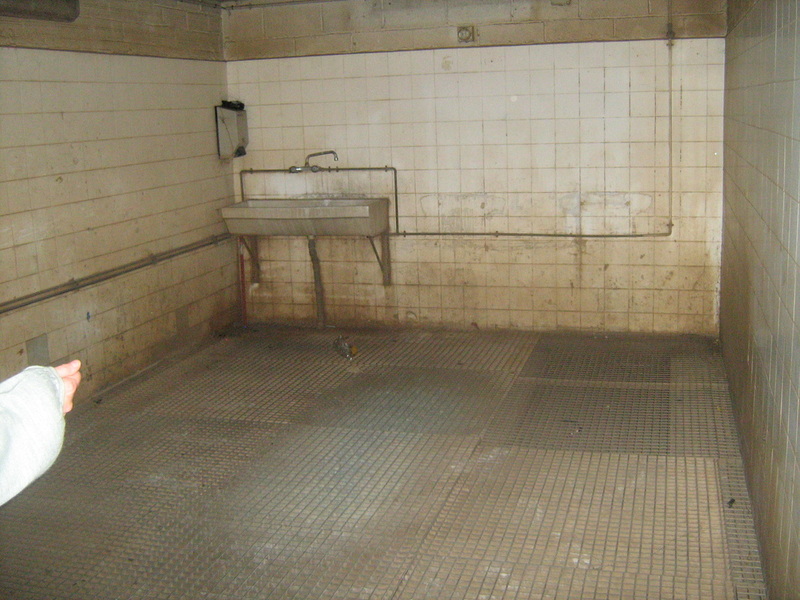 What was this room used for in the Gasgas factory? To clean the bikes after the competition and to put here before repair. This is like the washer. 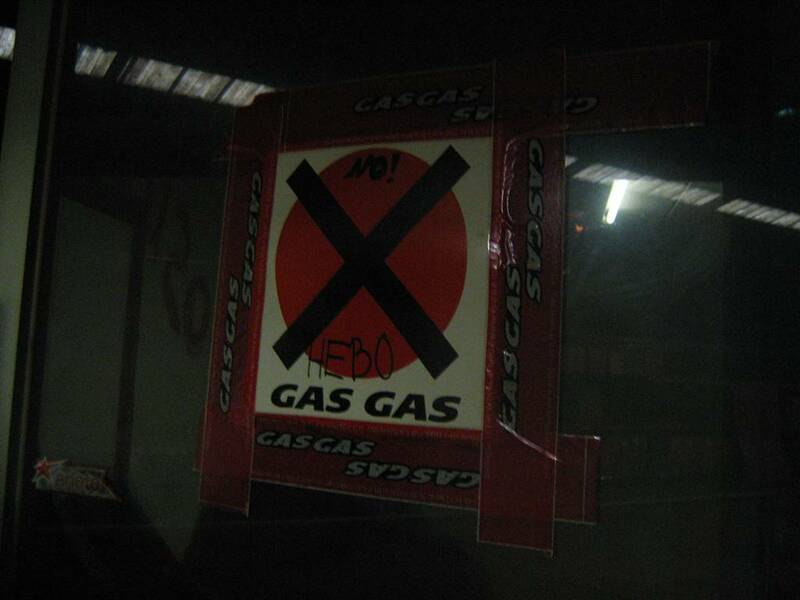 From the Hebo warehouse and office there is one single door leading through to GasGas, that's all. There is a joke warning sign to all Hebo workers. 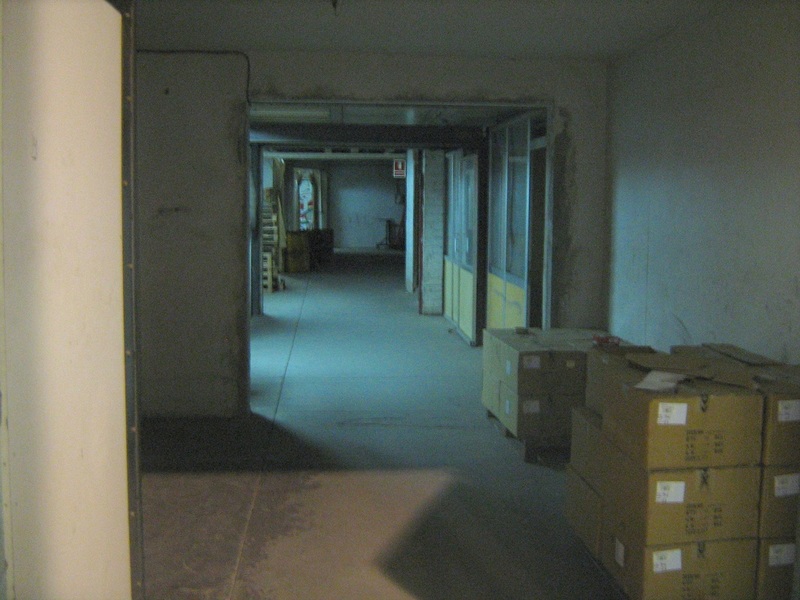 When you enter the old factory you quickly learn that the factory is made up of a labyrinth of small rooms, dark narrow corridors with glass fronted rooms coming off, little natural light, staircases, different levels. Its a little peculiar and not at all like you'd imagine a factory to be like. I can't see in any direction more than about 40 feet. 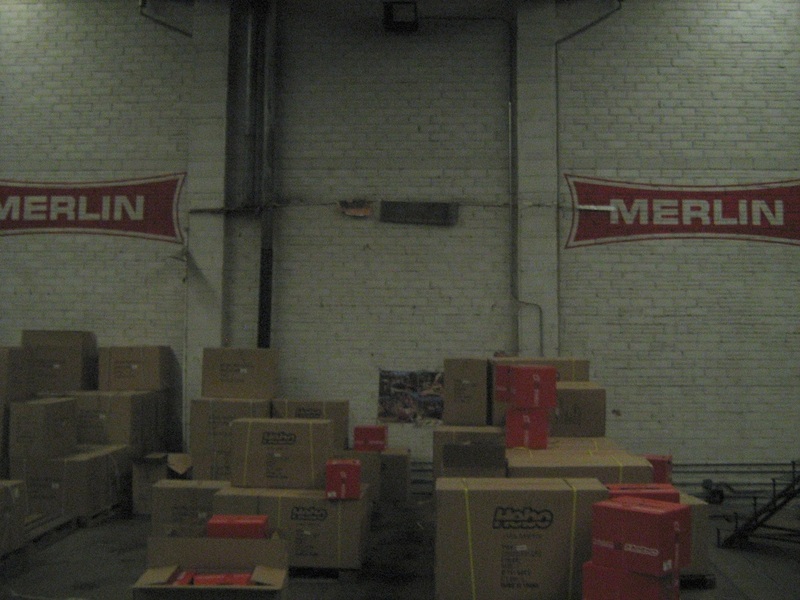 Hebo boxes are stacked up now , but other than that exactly the same as when GasGas moved out. Some more photos from Hap Oswald's visit. Did you follow Paul Edmondson’s career? Every day for every competition I follow in the middle and stand in the special and advise him on the best way through, try this. First lap, second lap changing the way. This way is wet, so no go. Paul is very clever. Paul is fantastic, very clever. I spend a lot of time with him to help and give him everything he need. Hap took these 2 photos. The first is of a rare small Elias Spanish cycle/ moto which was visiting for the day with some other childrens bikes behind. 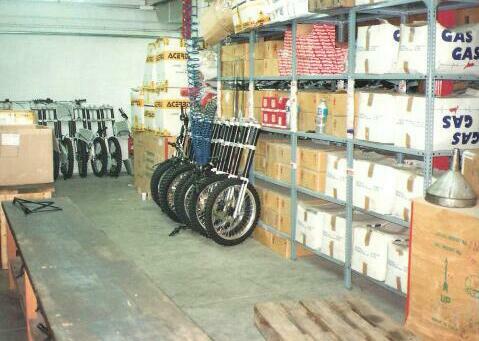 They are located by the parts managers office. I'd recognise that 70's fake teak any day :). I would imagine that GasGas might have been involved with the Elias bike. 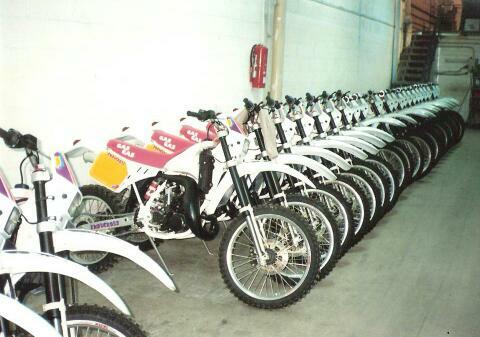 A Nice row of Enduro bikes with the staircase to the huge open space on the first floor. 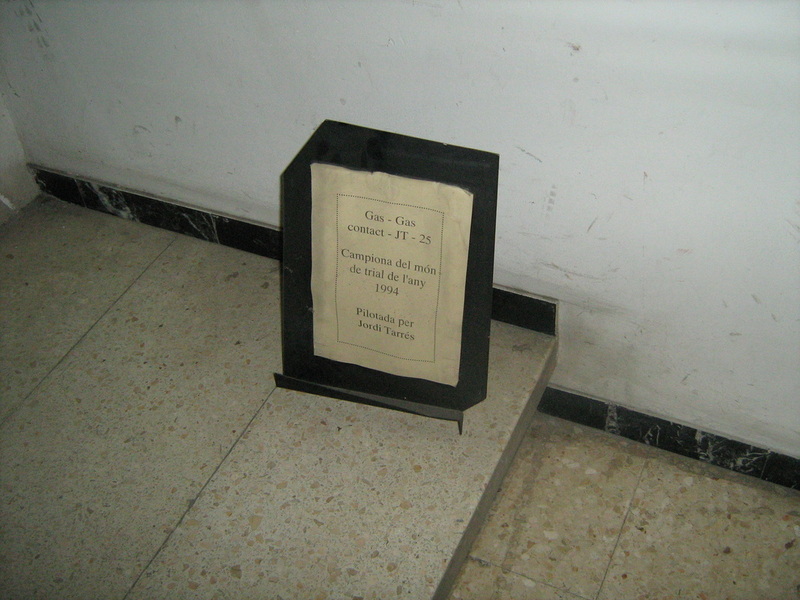 Still on the ground floor is the original display that used to sit in front of Jordi Tarres bike whenever it was on show. 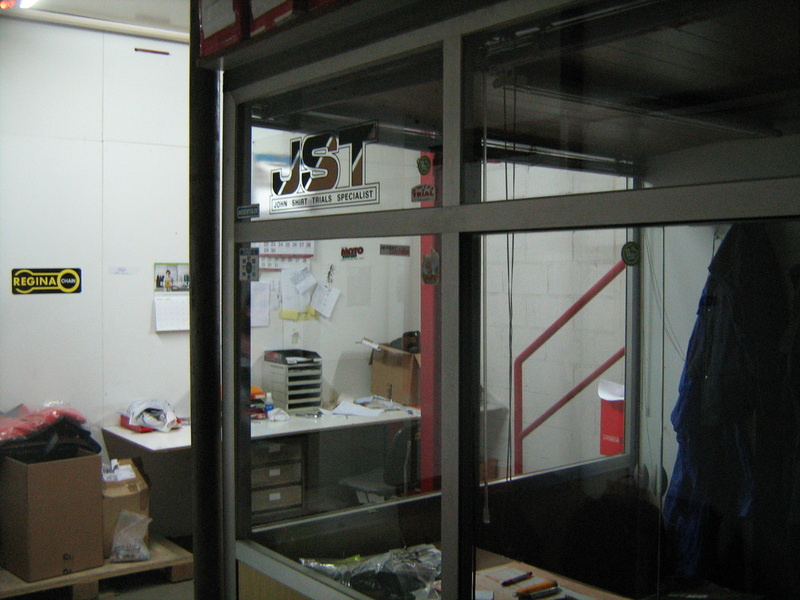 The 2nd photo shows the office of parts manager Gustavo Putz. See the John Shirt Trials sticker? 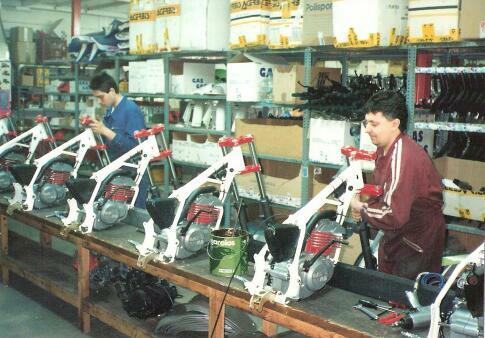 What was the first bike that was really successful, the first bike that really started to earn the company some serious money? This was the first, the second the third. Just then entered the bank with “intelligent people” and their business plan. With Narcis and me it was fantastic. Then arrive the people and the investors from the Bank of America . They make very good work. The first investors were very good. This investor worked with me and Narcis. They had 33% which was very good. Then later some other people came and got involved from the bank and then it go bad. These people enter from the new banks now and it’s a disaster, it’s history. They are now owned by the bank completely. It’s a catastrophe. 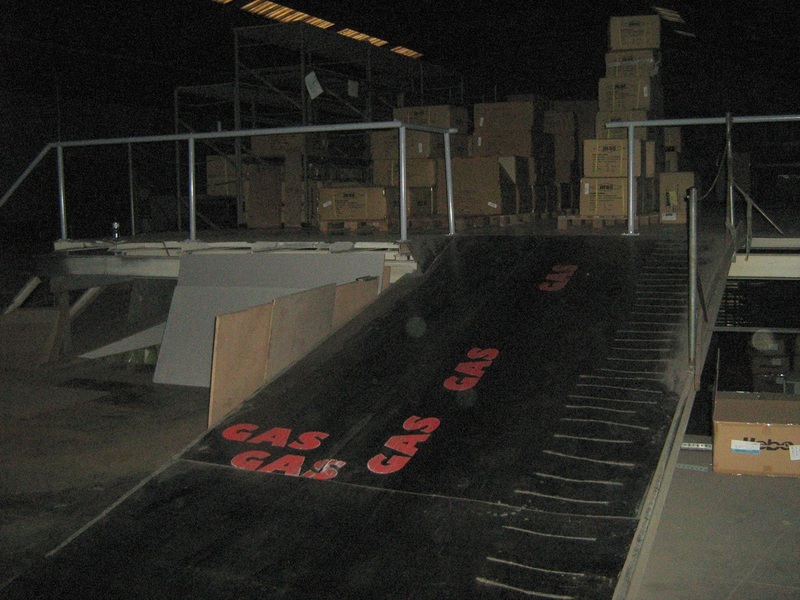 There are 2 staircases and a lift to the first floor in GasGas. I took the staircase by the Gasgas enduro bikes in a row. This lead up to this huge space. 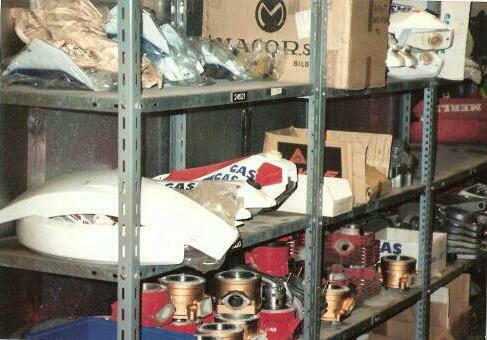 This was used by GasGas for storage only. There were also small ovens where the engine cases could be heated. I'm told that in the corner of the space was a room with ducting so you could test the engines. Because it didn't earn anyone any money there wasn't any point in painting over the Merlin logos on the wall. I loved these :). 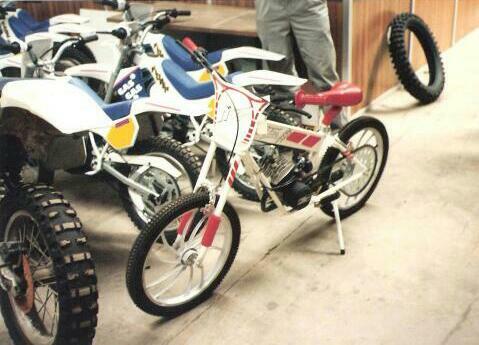 Was there ever a GasGas bike that caused you real problems with warranty? the pistons hits the valve and is broken everything. When we understand this we have about 500 bikes in the market. It was a very big mistake that they would be destroyed. 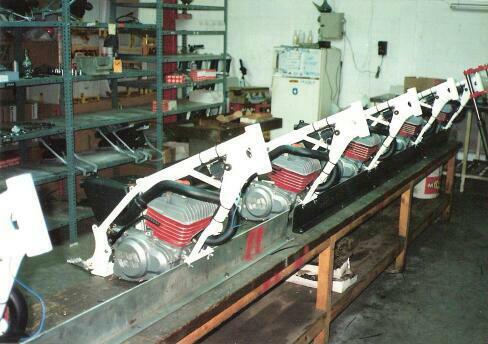 We had to take out the bad parts and replace with good and after all running very well. 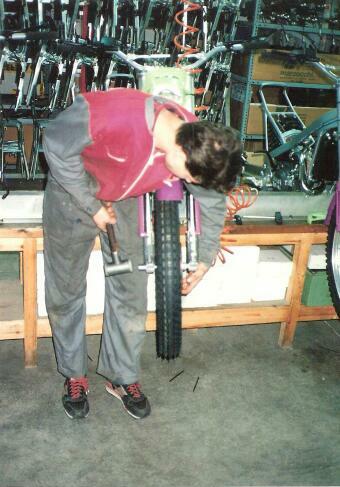 Did you recall the bikes and then change the pinion? Yes, yes, yes. We change the pinion and then change the head. It was one problem of 100 dollar and another problem if go bad of 2000 dollar. I know the completed bikes after 3, 4, 5000 kilometres is broken for sure so GasGas have to take a very big pain. 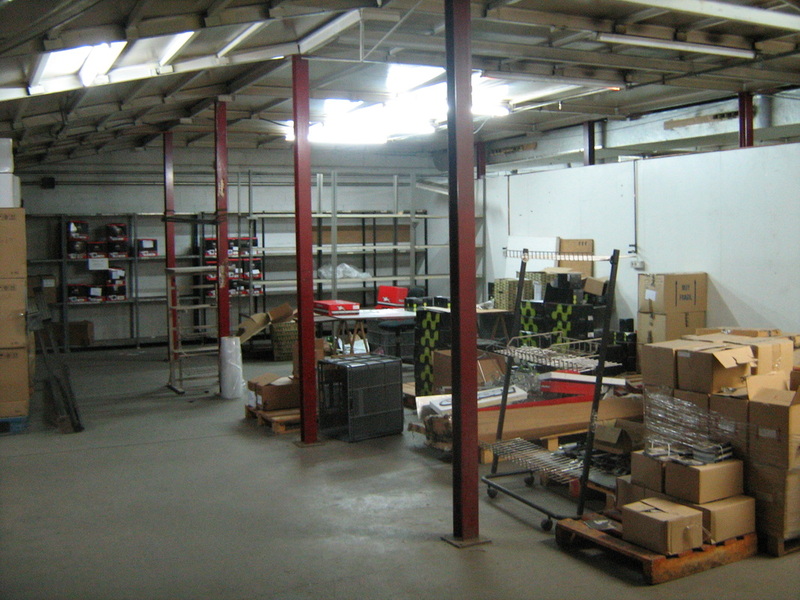 Back down on the ground floor, another workshop / assembly room. 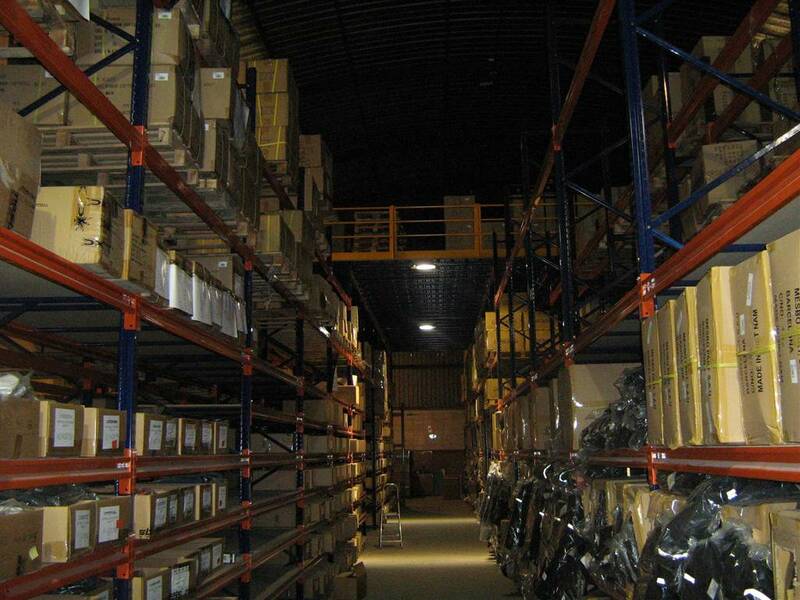 This 2nd photo is one the first floor storage room. When GasGas got big, was it difficult to manage? 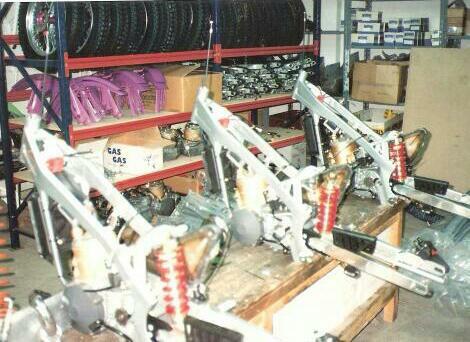 But you have many workers, a production line, parts suppliers. Potential problems everywhere. Small things these are. We have no problems. We are there to fix. Did you have managers in each department to help you? One maybe in factory . That is all. Really just Narcis and me. Sometimes we would see each other in the day and sometimes not. We would speak on telephone and he would do his work and I would make my work. I follow the production and Narcis follow the sales. I have many team with Toni, Montje and after there is Minyolles the businessman. I have my team and Narcis has his team and sometime we all meet. Who worked in this office here? 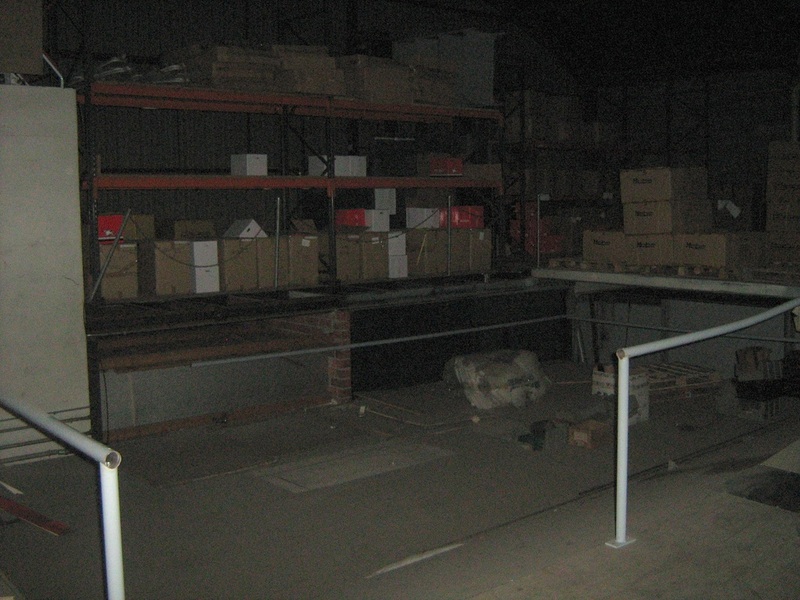 I took the stair case from the parts managers office to the first floor where there were 3 offices. 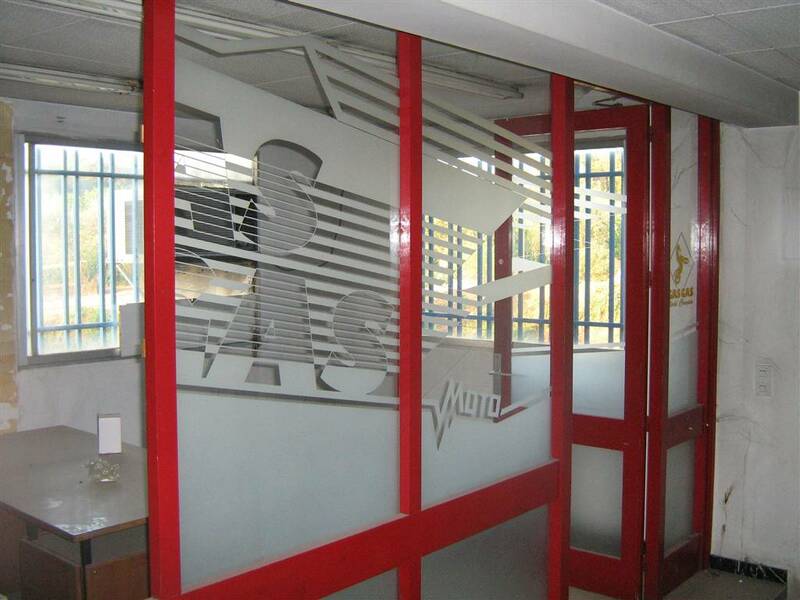 At the time I had guessed that the glass fronted office must have been the bosses, but now Piber has confirmed it. 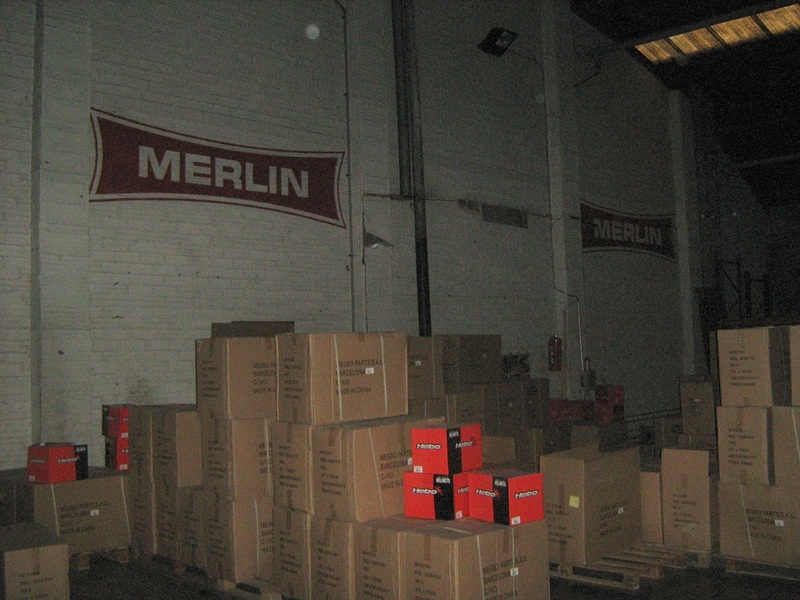 Some Merlin Telesco DG11 forks sit up against the wall along with original Merlin wooden parts boxes. It’s my office, my office. This is my office. There are steps here? For me I like to have my office at the track and outside and working, no inside.